Becoming certified to a Global Food Safety Initiative (GFSI)-recognized food safety standard is a great way to ensure safety and quality and to demonstrate to business partners that you meet their requirements. All along the supply chain certification is a trend on the rise. Food packaging is no different. BRC Global Standards, in partnership with The Packaging Society (IOP), created the BRC IOP Global Standard for Packing and Packaging Products to meet the demand. Like all GFSI-recognized standards, it incorporates feedback from key industry stakeholders to ensure it’s comprehensive enough for the global food industry. Senior Management Commitment and Continual Improvement: It’s essential that factory management are fully committed to the Standard’s application. Hazard and Risk Management System: This forms the basis of the program and is based on principles of the internationally recognized Codex Alimentarius system. Technical Management Systems: This chapter sets out requirements for the technical management of product quality and hygiene practices. It builds on the principles of ISO 9000, and includes requirements for product specifications, supplier monitoring, traceability, and the management of incidents and product recalls. Site Standards: These standards define expectations for the production environment. This includes layout and maintenance of the buildings and equipment, cleaning, pest control and waste management. Product and Process Control: This chapter includes requirements for product design and development, process controls, and product inspection and testing. It includes a specific section on managing foreign body and chemical controls. Personnel: The final chapter covers requirements for training of staff and expectations on protective clothing and personnel hygiene. High hygiene risk – Packaging that comes into direct contact with food products (or other designated hygiene-sensitive products*). 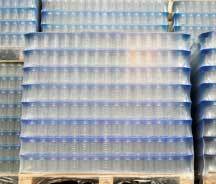 Primary packaging used for food or other hygiene-sensitive products where there is no absolute barrier in place. Low hygiene risk – Packaging for consumer products and the secondary and tertiary packaging for all uses. There are many certification bodies across the globe offering auditing and certification to the BRC IOP Global Standard for Packaging and Packaging Materials. Regional offices can be found via the BRC Directory at www.brcdirectory.com. Developed via a rigorous process involving key stakeholders of the packaging community, retail organizations, food manufacturers and trade associations. Certification to the BRC IOP Standard means a company is meeting the highest industry standards and demonstrating their commitment to producing safe and high quality packaging products. HACCP and hazard and risk management based. Incorporates food safety management systems and internationally accepted best manufacturing practice. Clear step-by-step path towards certification and comprehensive support package to get started. BRC Technical Team is highly experienced in the packaging and product safety industries and available to answer technical questions. International Technical Committees ensure the ongoing development of the BRC IOP Standard through a process of collaboration and continuous improvement. Visit the BRC website for more information on the BRC IOP Standard, including how to get started and certification and auditing processes.